No matter what age you are, as long as you have teeth, dental exams are an important part of keeping your smile healthy and beautiful! At Advanced Cosmetic & Laser Dentistry, we have an excellent office and thorough team of professionals to make your exams something you’ll look forward to. You should never put off dental exams because they are vital to your dental hygiene in Seattle. Dental exams are often put off because they can be seen as unnecessary. But exams are truly one of the best methods for keeping up with your dental hygiene in Seattle. 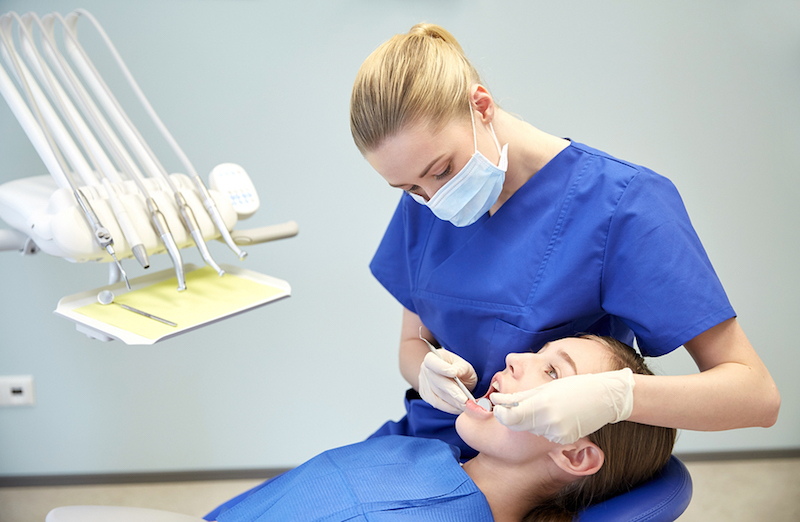 At each check-up, our experienced and well-trained hygienists will thoroughly clean your teeth. Once they are polished and sparkling clean, your teeth will receive an extensive analysis. They will be inspected for any cavities, gum recession, excessive wear, or other risks. Catching these types of threats early is very important because it helps us ensure that they don’t turn into larger troubles. Scheduling exams twice a year with Brian McKay at Advanced Cosmetic & Laser Dentistry will ensure you avoid acute dental troubles. Technology is moving promptly, so it’s important to find a dental office that has the latest instruments to ensure your check-up is detailed and comprehensive. At Advanced Cosmetic & Laser Dentistry, we have state-of-the-art technology that is used for all of our patients’ exams. With technology like our advanced dental x-rays, nothing will get past our dentist. If an issue is detected, an appropriate, individualized treatment plan will be developed. After your entire mouth has been examined, dentist McKay will detail what is necessary moving forward. Whether that’s flossing more often or discussing major fixes such as braces, we will make certain that you get all the information you need to ensure your smile is bright and beautiful! Just remember that improving your own personal dental hygiene in Seattle is the first step to having a healthy smile. With Cosmetic and Restorative Dentistry, Advanced Cosmetic Implant and Laser Dentistry offers their patients premium dental care right here in Seattle. Call us today to book your appointment! For examples of our work, check out our smile gallery today! Use the form below to ask a question about Dental Hygiene in Seattle: Don’t Put Off Your Dental Exam and one of our expert team members will get back to you shortly.